We’ve been working on Lion’s mane (Hericium erinaceus) for some time! 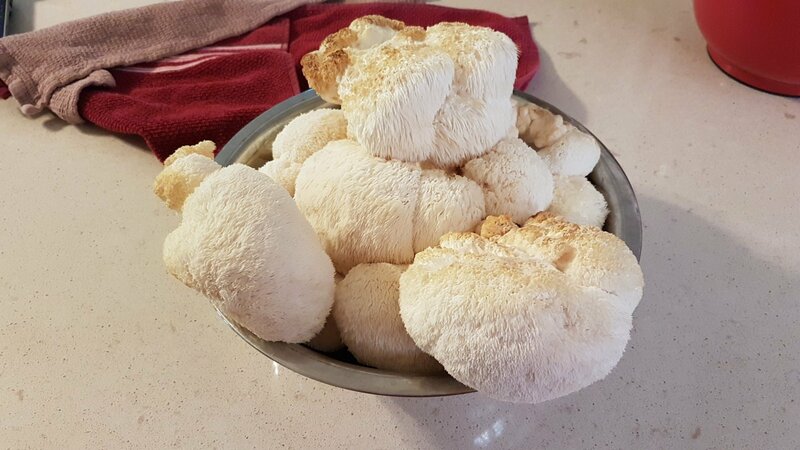 These are the first big mushrooms we’ve harvested! We ate a bunch of them and dried the rest for later. Very cool looking mushroom!